Whether you like your martinis with vodka or gin, or prefer a handcrafted whiskey concoction, Austin makes sure your glass is full. 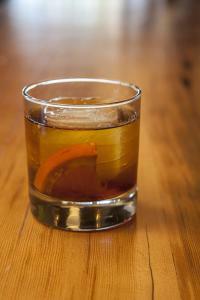 Get to the bottom of your favorite cocktails at these innovative Central Texas distillers. Go right to the source with a trip to Deep Eddy Vodka Distillery & Tasting Room, located in nearby Dripping Springs. With a 5,000-square-foot tasting room, a 30,000-square-foot distillery and covered outdoor space overlooking gorgeous Hill Country, this Austin-born distiller knows how to make guests comfortable. Sample their top-notch vodkas made with nothing but premium juices, essential oils, natural sweeteners and local honey. It&apos;s the real deal. Call ahead for a tour. Showcasing the versatility of gin, Genius Gin breaks down barriers with their two varieties: Standard Strength and Navy Strength. Distillers focus on keeping the taste bright, fresh and crisp. The Standard Strength works melodically with juniper, cardamom and coriander and hints of lime peel, lime leaf, and lavender. Navy Strength follows the same suit but is bottled at 114 proof and named for its history on British Royal Navy fleets. Genius Liquids offers tours by appointment only. White Hat Premium Texas Rum is handcrafted in small batches just outside of Austin in Manor, Texas. Real Texas pride shines through in a recipe comprised of South Texas molasses and water from nearby natural springs, along with their triple-distilled process, ensuring the cleanest rum around. White Hat Rum is aged in American oak barrels before it&apos;s released to the thirsty masses. Call for tours. Named for the local area code, Tequila 512 takes pride in its Austinite roots. The brand works to combine the heart of Mexico with the soul of Austin and has taken home the gold at world spirits competitions. Try the triple-distilled, 100-percent agave premium tequila in two varieties: Blanco - a smooth sipper with notes of sweetness, spice and pepper, and Reposado - aged nine months in charred oak bourbon casks for soft vanilla and wood highlights. Revolution Spirits offers free tours and tastings. Just call ahead to make sure someone is there to show you around - the crew stays pretty busy distilling and bottling its award-winning, contemporary-styled 100 proof Austin Reserve Gin. Revolution Spirits wants to reunite folks with gin and uses a 100 percent Missouri corn macerated with juniper and five additional carefully selected botanicals. It&apos;s 100 proof, smooth and powerful. Keep an eye out for their experimental Single Barrel Series, borrowing flavor from wine and whiskey barrels. Look for the sly red fox on the Swift Single Malt label and you&apos;ll discover some fine handcrafted Texas whiskey. Amanda and Nick Swift scoured the globe for the best ingredients and Scottish whiskey-making techniques, returning to Austin to open their own distillery in 2012. The duo uses Scottish malted barley, hand milled and hand cooked over an open flame, and twice-distills their whiskey bucket by bucket to nail the perfect taste. The finishing touch comes from Kentucky bourbon barrels and sherry casks from Spain.